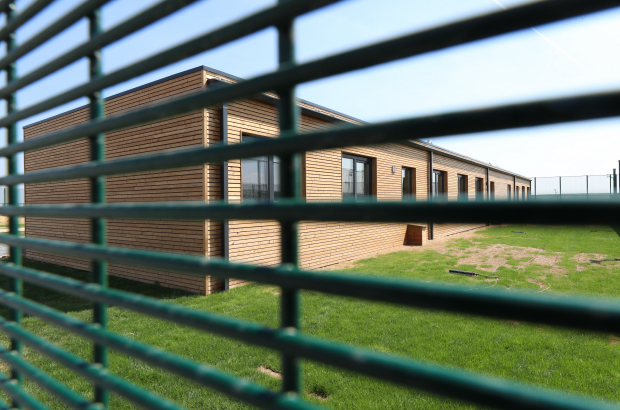 The UN’s Committee on the Rights of the Child have posed several critical questions about Belgium’s asylum and migration policy, including with regards to the closed family detention centre in Steenokkerzeel known as 127bis. A Belgian delegation has gone to Geneva to respond to questions from the committee. Belgium was one of the countries that signed and ratified the Convention on the Rights of the Child in 1989, the document by which the Committee operates. Every five years, countries file reports, and the committee assesses them, posing questions if they see the need. “The closed centre for families is not in the best interests of the child,” stated one of the committee. The committee also has questions about the procedure regarding unaccompanied minors, family reunifications, repatriation and the reintegration of Belgian children born in Syria. The 127bis facility opened last summer, meant to house families who were denied asylum and were awaiting repatriation. It came under fire by human rights and mental health workers when a Serbian family of six was place there. The secure facility has a 28-day maximum stay that is applied. Other non-migration oriented questions for the Belgian delegation include education opportunities for disabled children, child poverty, violence against children, bullying and the rights of adopted children or those born with the help of a donor to obtain information about biological parents. Based on information obtained from the Belgian delegation, the Committee will produce a set of recommendations for the federal government. This is due to arrive by 7 February.